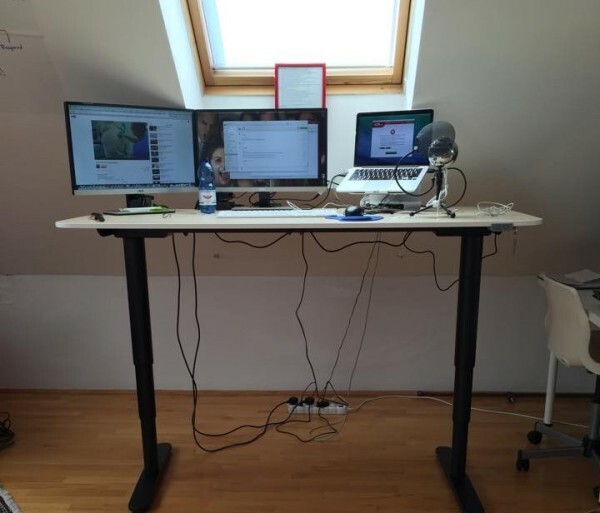 Tag Archives for " standing desk "
Standup desks are all the rage right now, and for good reason: we’re finally realizing that sitting all day is one of the worst things you can do for your health. Human performance guru Kelly Starrett has gone so far as to write a book on the topic. He’s mentioned the single biggest thing we could do for public health is to eliminate sitting from schools by replacing school desks with stand-up tables.